Q. First off I would like to thank you for your excellent teaching and useful website. My question stems from a Sunday school class where the topic of wine came up. I had always thought wine was wine and when the Bible spoke of wine that's what it meant. But I was informed there are three different kinds of wine and when Jesus turned the water to wine it was really grape juice. Any comments you can make about wine in the Bible would be very much appreciated. A. Unfortunately, your experience is not uncommon. It seems there are any number of topics on which the Bible is not restrictive enough to suite the tastes of some people. As a result, they bring to the Scriptures teachings which are not themselves found in the Scriptures. As to the notion that one reading the Bible needs to distinguish non-alcoholic and alcoholic 'wines' in various passages, there is simply no Scriptural support for this idea. Notice too in an OT passage concerning the restrictions on one who had undertaken a Nazirite vow (Num. 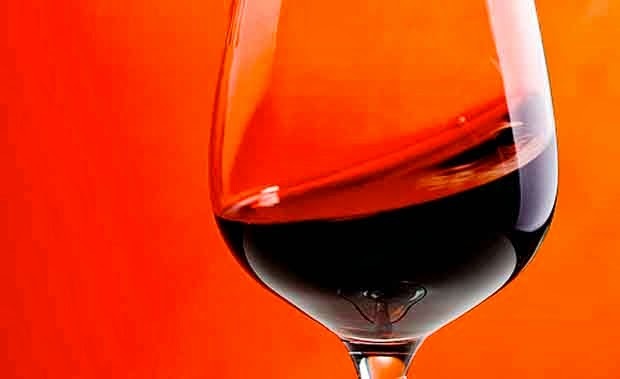 6:3), there is a clear distinction made between wine (יַיִןa [yayin]) and grape juice (מִשְׁרַת עֲנָבִיםb [mišraṯ ʿănāḇîm]). If the term wine can denote non-alcoholic drink in some contexts, then the question naturally arises as to why this passage uses a different term (phrase) to describe non-alcoholic grape juice? If we read the Bible at face-value, we find that “wine is wine:” a drink with alcoholic content which, when abused, can lead to all manner of trouble. As we expect, the Bible is replete with warnings concerning the abuse of wine (Pr. 20:1; 21:17; 23:20,29-35; 31:4-7; Isa. 5:22; 28:1,7; 56:12; Amos 4:1; Hab. 2:15; Eph. 5:18). One need only consider the example of Noah after departing from the Ark (Gen. 9:21) or Lot with his daughters (Gen. 19:32-34) to see the sort of trouble which the abuse of wine can bring. On the other hand, the Bible also teaches that wine is a blessing reflecting fruitfulness which, when partaken of responsibly, is to be enjoyed (Num. 6:20; Deut. 7:13; 8:3-4; Eccl. 9:7; Job 1:13; Song of Sol. 1:2; Jer. 31:12; Zec. 10:7). Notice especially that among Paul’s qualifications for elders and deacons is that they not be given to wine. Elsewhere, Paul advises Timothy to use some wine for his ailment (1 Ti. 5:23). In other words, Paul—inspired by the Spirit—understands that wine in and of itself is neither evil nor prohibited. The motives of those who seek to convince others that passages where wine is endorsed by Scripture (e.g., John 2:9) should be understood as describing a supposed non-alcoholic variant may seem reasonable, but the approach is flawed. In particular, it points up one of the mistaken notions found among some Christians who emphasize that sanctification is found through forms of legalism where victory over sin is thought to be attained primarily through the application of external rules. Rather than being led of the Spirit to exercise self-control (Gal. 5:23), reliance is placed in a more restrictive external “law.” This is akin to how the Jewish rabbis would “fence the Torah” in order to preclude even the possibility of violating a guideline given by God. Yet we learn from the New Testament that although such external prohibitions have an appearance of wisdom, they are of no real value against the indulgence of the flesh (Col. 2:23). More than that, law tends to excite the flesh and “revive” sin (Rom. 7:8-9). Of course the Scriptures also advise us not to partake of freedoms we may have if such freedoms prove to be a stumbling block for a brother (Rom. 14:14-23). So we need to be sensitive on this issue. At the same time, those who have been in Christ for quite some time, but insist on imposing an unscriptural distinction upon other believers concerning this matter are simply demonstrating a lack of maturity. More troubling, in my view, is a willingness to impose rules on fellow believers which are not found in Scripture (something which Jesus strongly opposed: Mat. 15:3,9; Mark 7:3). It seems it will only be a matter of time before some believers are disconcerted by the realization that they aren't being served grape juice as they sit to drink with Jesus in His Father’s kingdom (Mat. 26:29; Luke 22:18). R. Laird Harris, Robert Laird Harris, Gleason Leonard Archer and Bruce K. Waltke, Theological Wordbook of the Old Testament , electronic ed. (Chicago: Moody Press, 1999). p. 376. Merrill Frederick Unger, R. K. Harrison, Howard Frederic Vos et al., The New Unger's Bible Dictionary , Rev. and updated ed. (Chicago: Moody Press, 1988). wine. “The Bible does not teach total abstinence. It teaches total control.” Dr. Mal Couch, class notes. Erich Sauer, The Dawn of World Redemption (Grand Rapids, MI: Eerdman's Publishing Company, c1964, 1951). p. 127.